In the past, we used to lose more lives, especially young children, due to the outbreak of diarrhea and typhoid diseases. We no longer experience that because we now have access to clean and safe water within our reach. 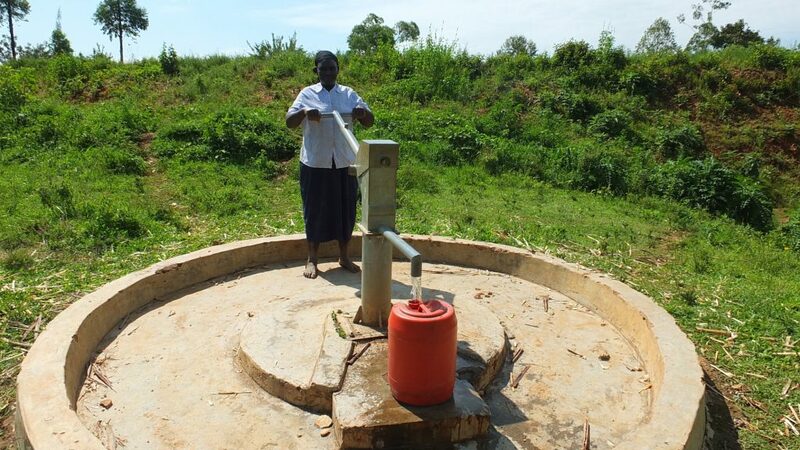 A year ago, generous donors helped rehabilitate a well with the Kwambiha Community in Western Kenya. Because of these gifts and contributions from our monthly donors, partners can visit project sites throughout the year, strengthening relationships with communities and evaluating the actual water project. These consistent visits allow us to learn vital lessons and hear amazing stories – we’re excited to share this one from our partner, Paul Weringa, with you. 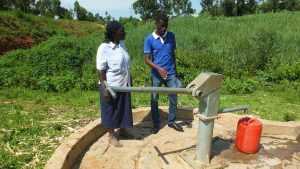 Before the borehole was rehabilitated, the community members, especially women, used to walk a distance not less than 2km in search of water. Most of the water sources were springs which were contaminated by uphill latrines. Because of the contamination, the community spent a lot of their money on treating typhoid and diarrhea which was rampant. 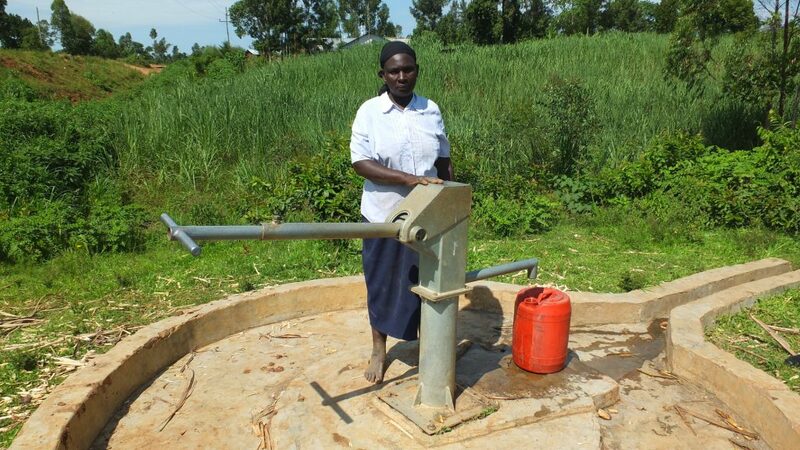 Since the borehole was rehabilitated, more people in the community spent little money on hospital visits. The outbreak of diarrhea and typhoid has been reduced. Women and men have more strength to work on their farms since they no longer experience disease problems. Time for accessing the water point has also been reduced. Before the rehabilitation, women took at least 30 minutes fetching water from the contaminated springs. Now that the rehabilitated spring is much closer, the women have an extra time to do other activities in the home. This has been made possible by the rehabilitated borehole. 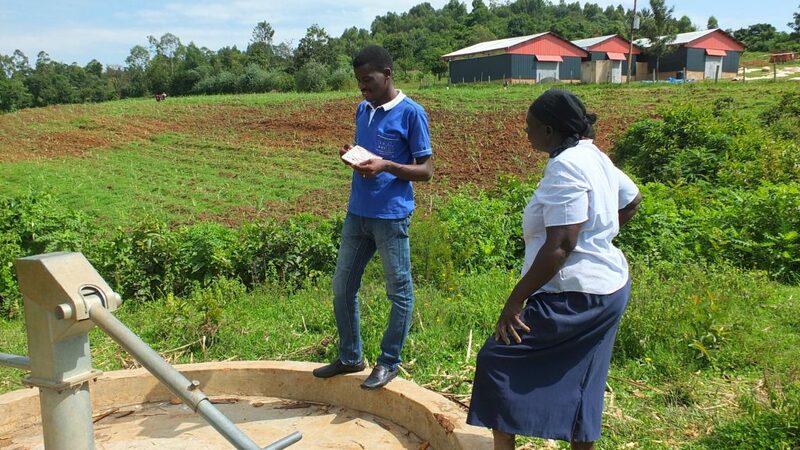 One of the challenges concerning this project is that, the level of water goes down during dry seasons limiting the community members from accessing clean and safe water. When this occurs, they are forced to go back to the springs which cause more harm them. We are in discussions with the community to see how the borehole can be deepened so that a rich aquifer can be stricken. We will continue to work with this community through the challenges of the dry season and we will reengage the water user committee since the area around the borehole is not as clean as we would like. We look forward to working with and sharing more positive news from this community. 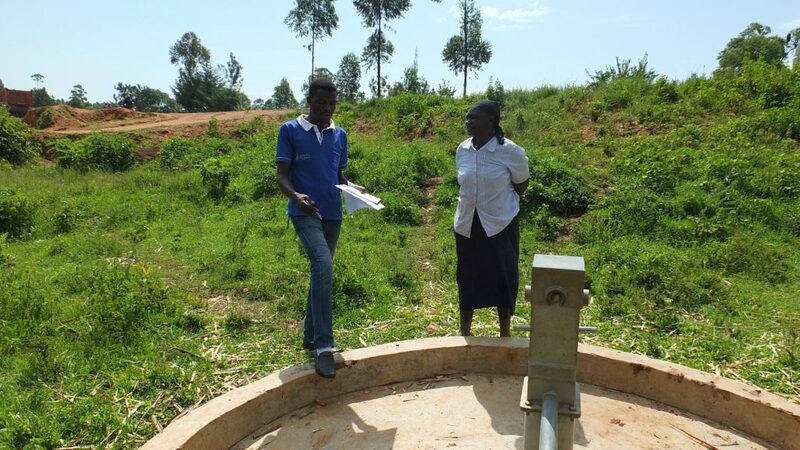 When you invest in The Water Project, you're investing in people like Rose. Your gifts help us reach more communities with the gift of clean, safe water. And every drop helps unlock potential.